A version of this post originally featured on Goldsmiths’ public engagement blog. 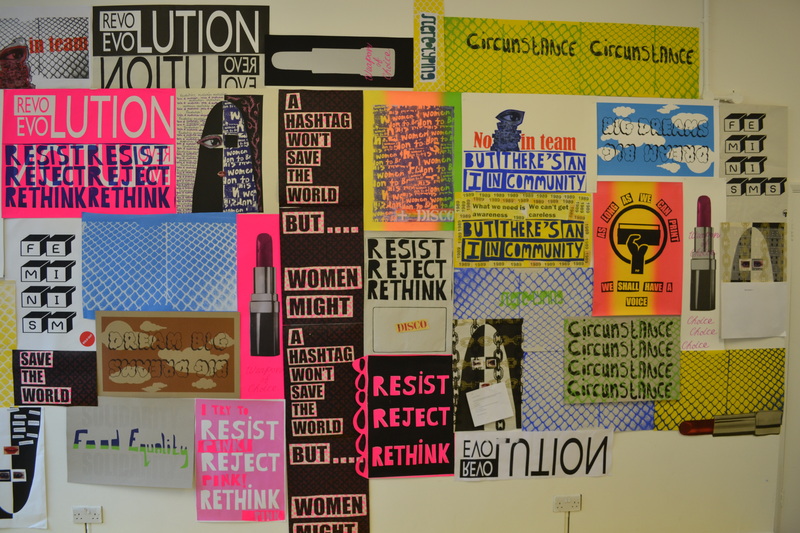 Will Cenci talks about Goldsmiths’ series of events for Being Human 2015, where academics collaborated with community groups, artists, archivists and activists to host eight free public events that sparked discussions on themes such as direct action, protest and the commons. New Cross has long been a hotbed of radical ideas and this spirit of challenging established thinking, creativity and direct action is part of the fabric of Goldsmiths. From the imprisonment of the parish priest of St. James Hatcham for radical teachings in the 1870s, to the Battle of Lewisham between the National Front and anti-Fascist groups a 100 years later, New Cross continues to be a hub for progressive voices and debate. Workshops during the ‘Radical New Cross’ series explored the history and enduring relevance of textiles in the digital age, new empowered print work inspired by posters from the Women’s Movement at the Women’s Art Library Archive was on show on New Cross Road, and a public lecture explored the relevance of anarchism for contemporary politics. In one event, a communal meal in Goldsmiths’ newly refurbished and historic Deptford Town Hall Council Chamber brought together local people, bloggers, academics and community groups and provided a platform for anyone to speak on the themes of communing, enclosures and the problematic history of Deptford as major naval and trading port. During the series we also heard first-hand accounts of the 1977 ‘Battle of Lewisham’ from a panel including the borough’s first black police constable and retired Metropolitan Police Chief Inspector, David Michael, and former Goldsmiths lecturer and eminent academic, Professor Paul Gilroy.